Finally the day came! 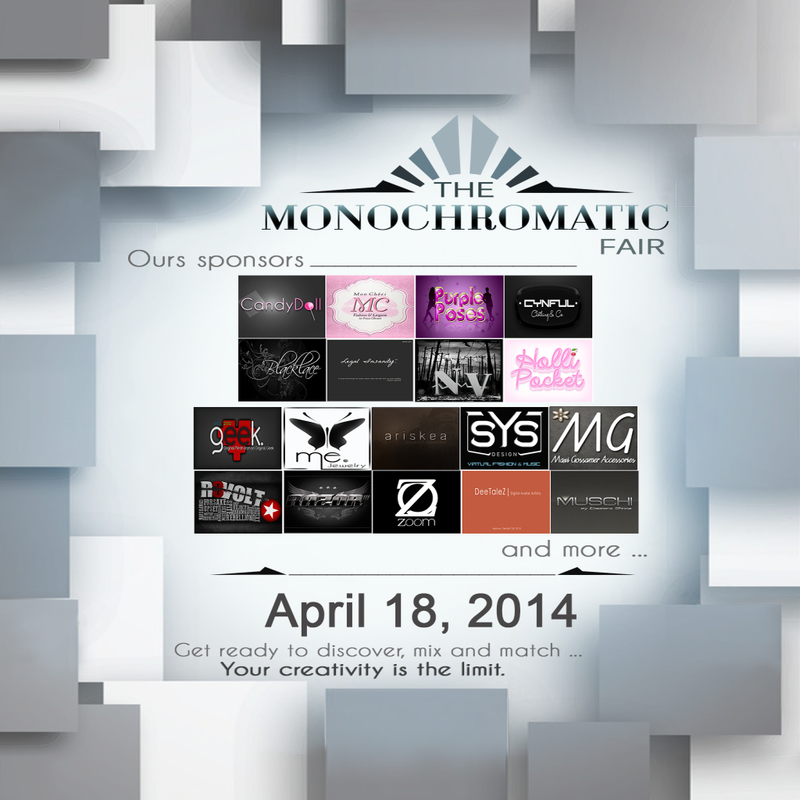 The Monochromatic Fair will start today and will run till the 2nd May. Lots of stores are involved in the event, with lots of amazing exclusives. For all the slurls and more info about the event, you can visit the official site WeDoSL Events. First, of the many designers i'll show you, is SAKIDE with a cute fresh outfit, available in several colors, coming with top, shorts and shoes too. All the poses i used are part of the exclusive releases by Purple Poses for the fair.